Where can I find more information about the festival? What documents will I need to pick up my tickets? All Will Call tickets will be in the name used to place the order. This person must provide photo identification and a copy (digital or physical) of the confirmation email. When can I pick up my tickets? Tickets will be available to pick up on the day of the event. If tickets are able to be picked up earlier, this information will be available on the website. My tickets have not arrived yet. Where are they? By our standard delivery procedure, we send your tickets out approximately two weeks before the event. If you have not received your tickets one week prior to the event date, please contact our Customer Service department at customerservice@ticketstoday.com and we will resolve this matter for you. Why won't my order process? The most common error occurs when entering billing and shipping information. Make sure there are no spaces and/or dashes when entering your credit card information. If you still unable to place your order, please copy the error you are experiencing and email it to customerservice@ticketstoday.com . What if I have moved since placing my order? Because we send your ticket order out approximately two weeks prior to the event, you must contact us before then in order to set up will call pick up. We have a very limited amount of parking spaces on-site at The Observatory. Please arrive early if you plan on parking on-site. We anticipate on selling out of on-site parking spaces early and encourage everyone to carpool or ride-share. A map of the area, parking lots, and free street parking can be viewed HERE. Premiere On-site - $30 cash only - Entrance on Harbor Blvd. General On-site - $20 cash only - Entrance on Sunflower Ave.
We will have shuttles running all day starting at 12pm to 2:30am from The OC Fair & Event Center. This is the easiest way to get to and from the festival grounds. We have a dedicated area for Lyft & Uber, please check the map HERE. 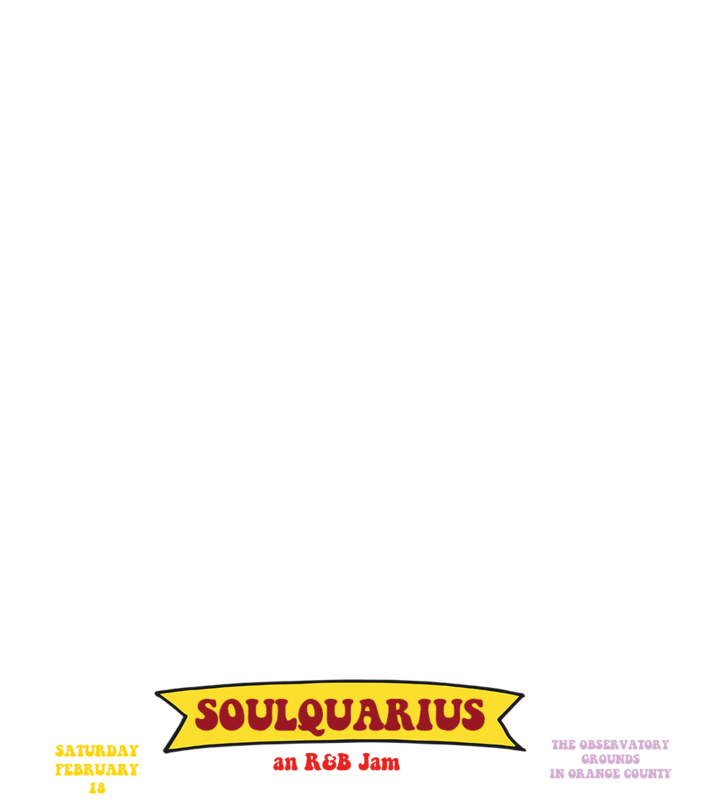 Get 20% off Lyft rides to or from the festival by using the code SOULQUARIUS. This discount code is Valid for 1 ride at 20% off, up to $5 off each. Valid only from 9 AM on 02/18 until 1 AM on 02/19. Ride must be to or from The Observatory (3503 S Harbor Blvd, Santa Ana, CA 92704). Festival Hours: Gates open at 12pm and the music ends at 11pm. Bring your empty water bottles, canteens, camelbacks, etc.. We have FREE water refill stations located across the venue. 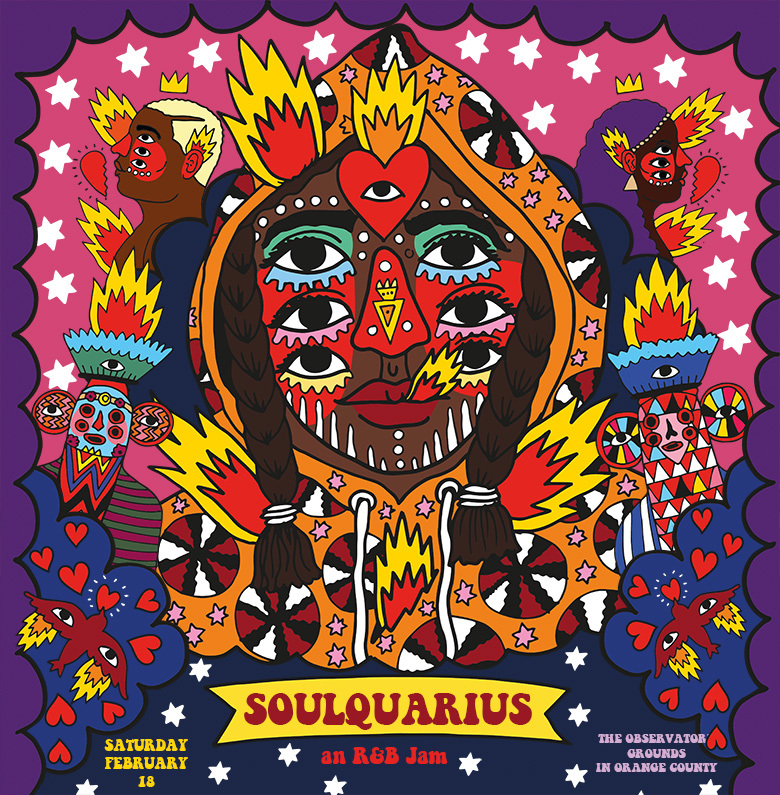 Soulquarius is an all ages event. Children 3 and under are free with a paid adult. Strollers are permitted on the festival grounds. Viewing Areas: There will be viewing areas with chairs at most stages. ADA patrons are welcome to have one companion with them at the viewing areas. Please note that these areas are on a first-come, first-served basis. Handicap Parking: ADA parking is located at the Premiere Onsite lot. Vehicles must have valid handicap placard or license plate. Restrooms: Wheelchair accessible restrooms are available and located throughout the venue. Service Animals: Pets and emotional support animals are not permitted on the festival grounds, with an exception made for service animals covered by the law. For more information please visit the Info Booth. You are subject to search before entering the festival. There is absolutely no re-entry into the venue. Backpacks, purses, bags, fanny packs, etc - will be searched at entry. Prescription medication without a prescription. Over the counter medicine is fine.